Experience Design is the precursor of a new concept of hospitality related to experiential design, where you can interact with brands throughout design accomodation experience: here you can try multimedial mirror, japanese toilet or it’s possible to be surpised by vertical garden or discover how it works a steam oven or a vacuum machine. 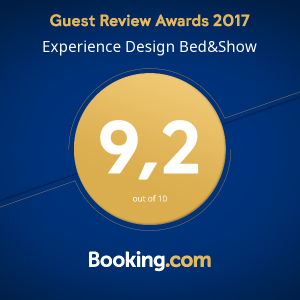 The traditional concept of bed and breakfast turns into a bed and show philosophy, in order to discover design in a new context. From April 2019 bed&show expands with the opening of the EXPERIENCE DESIGN LOFT. An independent solution, close to b&b showroom representative of the typical urban space trend, a loft, which is characterized by a large full-height window that gives great brightness, a living area, kitchen and bathroom on the ground floor and climbing a very comfortable staircase upstairs a sleeping area.